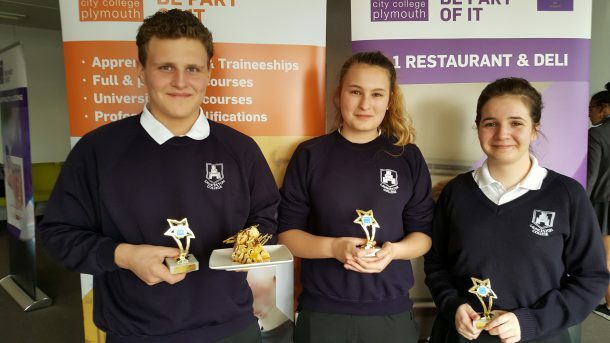 Three Year 10 students made their mark at City College Young Chef’s Team Challenge where they were asked to make a three course meal for the Plymouth Raiders. Josh Mannino, Amy Hill and Hope Webster competed against other local colleges and came away with prize for the ‘Best Dessert’ which was a mini croquembouche of cream filled profiteroles topped with chocolate and spun sugar. The basketball players added that they had never seen or tasted anything quite like it and compared with Tesco it was amazing!